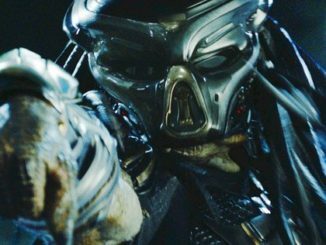 Shane Black will be there to discuss The Predator. There have already been a few trailers for the upcoming movie but we should get a bit more insight into this film and where the franchise could potentially go next. The eleventh season of the new Doctor Who series has an all new creative team and cast. Showrunner Chris Chibnall and executive producer Matt Strevens will be previewing the upcoming season along with the 13th Doctor Jodie Whittaker and her companions Tosin Cole and Mandip Gill. It just wouldn’t be Hall H without a Walking Dead panel. 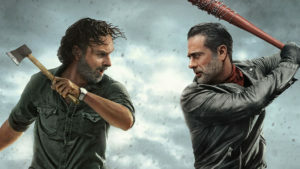 Stars Norman Reedus, Danai Gurira, and Jeffrey Dean Morgan along with a departing Andrew Lincoln who has led the show for nine seasons will all be present. 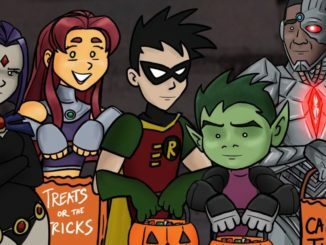 We’re all but guaranteed to get a brand new trailer for the upcoming ninth season. Star Trek has been a huge influence when it comes to fan conventions so it would be shocking if there was no presence at the SDCC. 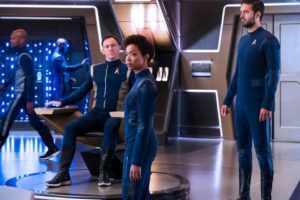 Star Trek: Discovery stars Sonequa Martin-Green, Doug Jones, Shazad Latif, Mary Wiseman, Anthony Rapp, Mary Chieffo, and Wilson Cruz will all be on hand along with newcomer Anson Mount. Executive producers Alex Kurtzman and Heather Kadin will also be there to discuss season 1 as well as the upcoming second season. Amazon is bring a ton of stuff to Comic-Con with a look at the John Krasinski series Jack Ryan based on the books by Tom Clancy as well as their offbeat revival of The Tick. Some new projects will be teased from the likes of Neil Gaiman, Sam Esmail, and Gale Anne Hurd. My personal excitement will definitely be regarding The Expanse which was saved from cancellation by the streaming service. David Gordon Green and Danny McBride are rebooting the Halloween franchise and have brought back star Jamie Lee Curtis along for the ride. But that’s not all as M. Night Shyamalan will be discussing his Unbreakable/Split sequel Glass and premiering a trailer for the upcoming film. I am not a fan of what Michael Bay has done to the Transformers franchise. 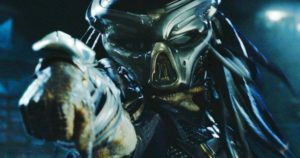 With the fifth’s film disappointing box office take it seems that audiences caught on that the movies weren’t good. 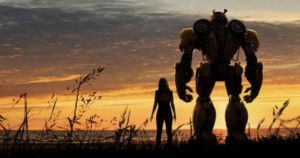 Before that film even premiered, director Travis Knight cast Hailee Steinfeld for a Bumblebee spinoff film that looks surprisingly sweet. Hopefully, this film will course correct the franchise. While Spider-Man is on loan to Marvel Studios as a live action character, Sony will be releasing an animated film centered around the Ultimate Spider-Man version of the character Miles Morales. Spider-Man: Into the Spider-Verse directors Phil Lord and Christopher Miller will be on hand. On the live action front, the stars and creative team behind Venom will also be on hand which means that you should probably expect Tom Hardy to make an appearance. The DC films have had a very, very rocky start but Warner Bros. is looking to right the ship. 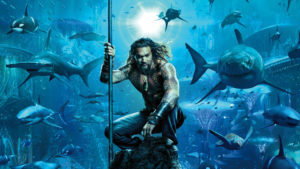 With Marvel not in the picture this year, Warners should look to make huge waves with the James Wan helmed Aquaman trailer starring Jason Momoa as well as give a look at the upcoming DC films Shazam! and Wonder Woman 1984. They’ll be presenting more than comic book movies so expect to see some new stuff on Fantastic Beasts: The Crimes of Grindelwald, Godzilla: King of the Monsters, and The Lego Movie 2: The Second Part. 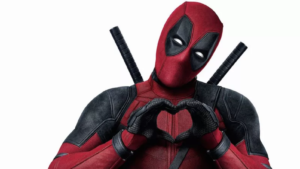 Sure Deadpool 2 has been out for a while but there’s still going to be a panel about the movie. Ryan Reynolds will be on hand for this one and I can’t help but speculate that some X-Force news will be made at the panel. There’s a few honorable mentions with AMC’s Better Call Saul and the Breaking Bad 10th anniversary taking place in Hall H on Thursday from 3:30 p.m. to 5:30 p.m. Star Wars: The Clone Wars will also be celebrating it’s 10th anniversary in Room 6BCF on Thursday from 11:45 a.m. to 12:45 p.m. Dave Filoni is on hand so I wouldn’t be surprised if maybe there was a bit of a hint about the upcoming Star Wars: Resistance series. Nightflyers which is based on a novella by Game of Thrones creator George R. R. Martin will present in the Indigo Ballroom on Thursday from 3:00 p.m. to 3:50 p.m. while a look back at the Twin Peaks revival is set for the same room on Saturday from 8:00 p.m. to 8:50 p.m. Should be a hell of a convention!